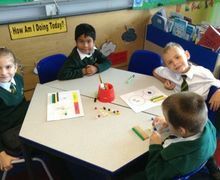 Above all, we foster positive attitudes towards Mathematics by developing pupils’ confidence, independence, persistence and co-operation skills. 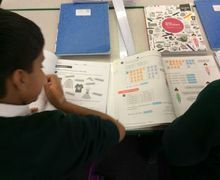 In our Maths lessons, we therefore follow the Singapore Maths or mastery approach to teaching, using the resources produced by Maths No Problem! In 2017 a Department for Education expert panel assessed all the textbooks and resources available to support teaching for mastery. They judged that Maths No Problem! alone met their stringent core criteria. 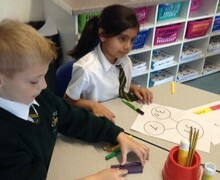 As a result, the Maths — No Problem! 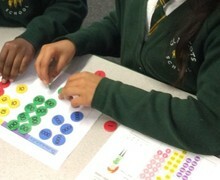 Primary Series is the only recommended textbook for schools on the mastery programme. Below are 'at a glance' plans for the academic year, for each year group.